Dollmaking is a very special kind of magic. Bringing a playmate to life with love brings joy to the maker and the playmate. Imperfections become character and heirlooms are created. Loop your child in on the dollmaking choices from the beginning and they'll be even more in love with the finished product. 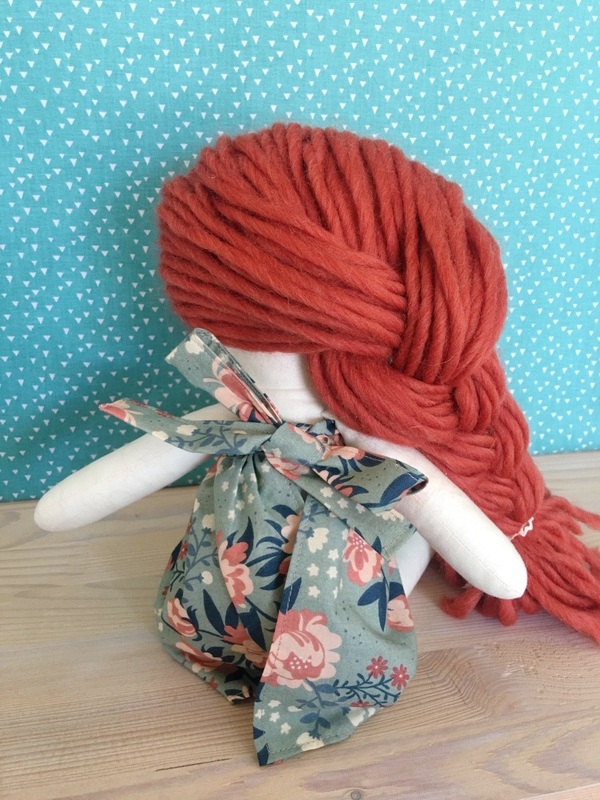 The Make-Along Doll Pattern includes detailed instructions for creating a 16" cloth doll with a full head of styleable yarn hair. 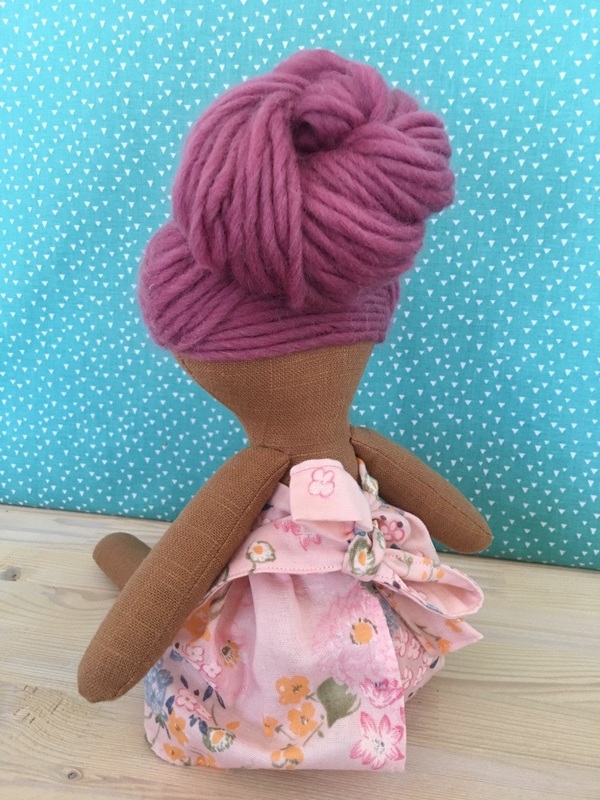 Pattern includes detailed instructions on sewing and assembling the doll, embroidering the face and creating the yarn hair. Also included is the pattern for a quick and easy apron dress. Skills needed to complete the pattern are basic machine and hand sewing, embroidery knowledge and general craftiness. 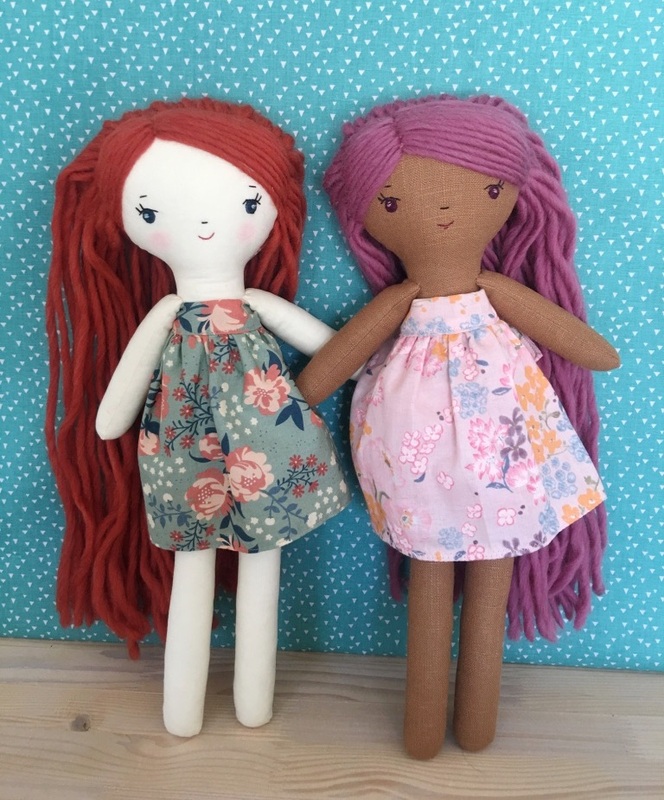 You do not need to be an advanced seamstress to tackle dollmaking. Pattern is a PDF download that will be automatically emailed upon purchase. All pattern pieces are full sized. 16" x 16" of body fabric. Suggested fabrics: close-weave cotton or linen, wool, light canvas. No stretchy fabrics! Originally offered as a 12-month pattern subscription, the Make-Along Doll Subscriptions are now broken down into 3 separate pattern sets. 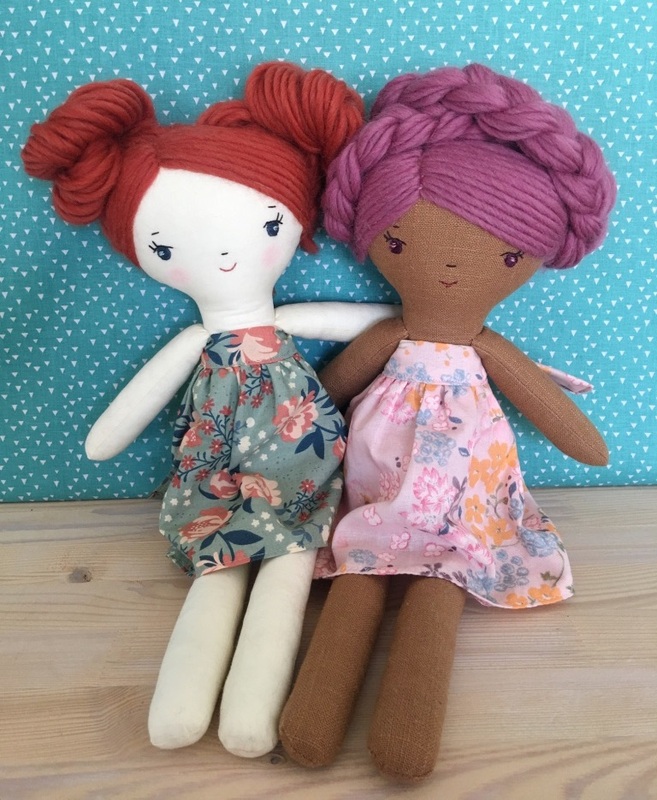 So when your doll is ready for more outfits, check out the Make-Along Doll Clothes Pattern Set, or would like some new friends, check out the Make-Along Animals Pattern.